Description RC Willey is searching for enthusiastic, career-minded sales professionals to assist our customers in the Flooring department. We expect that sales associates will be able to earn at least $40,000 annually. Therefore, for the first 6 full months new sales associates who work full time hours will receive a minimum of $3,333/month or commissions earned, whichever is greater. RC Willey provides extensive sales training in order to enhance your ability to assist customers and increase your earning potential. We also offer competitive benefits including medical, dental, and vision insurances, 401(k) with company match, profit sharing, employee purchase, paid vacation and sick time, and more. DUTIES AND RESPONSIBILITIES Greet customers, determine customer needs and address any related concerns. Ensure customer needs are taken care of and expectations have been met/exceeded. Follow-up with customers through callbacks, client cards and/or thank-you notes. Perform other reasonable job functions as assigned by an immediate supervisor and/or other management. JOB REQUIREMENTS Previous sales experience preferred. Exceptional interpersonal skills. Self-motivated and enthusiastic, with a strong desire to accomplish specific goals. Strong customer-service orientation. Presentable and personable with the public. Sales associates are scheduled approx. 8 hours per day, Mon-Sat, between 9 AM and 9 PM with a weekday off. We are closed Sundays! We conduct thorough employment/criminal background checks and drug screens. If you've got a passion for people and the desire to succeed, a position as a CarMax Sales Consultant may be for you! CarMax is a growing company that is built on the fundamental principles of integrity and treating people with respect. Here are more reasons why our Associates love working for America’s #1 used car retailer: A Great Place to Work CarMax has been named one of the FORTUNE 100 Best Companies to Work For® since 2005. Our Associates work in a supportive, diverse, and fun environment that fosters a work/life balance. This positive work environment leads to a positive customer experience, and is a big part of why 95% of our customers would refer us to their friends. Top-Notch Training Don’t have automotive sales experience? CarMax is ranked as one of the best training companies in America. You’ll enjoy world-class, training with your own personal sales mentor who is dedicated to your success. We provide ongoing training, support self-development, and we learn as a team. Career Growth and Recognition With more than 130 stores nationwide and growing, CarMax Associates have fantastic career opportunities. 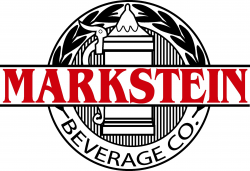 Our incentive programs provide the potential for additional earnings, recognition, and perks! CarMax Sales Consultant responsibilities include: – Providing exceptional service throughout the customer’s experience. – Communicating effectively both in-person and over the phone to discover the customer’s wants and needs. – Serving as an advocate for CarMax by sharing what makes us the smart choice. – Navigating and using various provided computer programs as selling tools. – Consulting and guiding your customers to the appropriate next step based on their situation. – Facilitating steps of the sale, such as the vehicle appraisal process, taking test drives, and submitting finance applications. – Maintaining a working knowledge of CarMax products and appropriately recommending them to customers. – Reading, collecting, and transcribing data in order to complete accurate paperwork. – Seeking out opportunities for self-development, participating in training, and welcoming performance feedback. – Building and maintaining strong relationships and demonstrating excellent teamwork. – Maintaining the sales area so our vehicles and products are neatly and accurately displayed. This position may require other duties as assigned. For store positions, the responsibilities may vary by store. 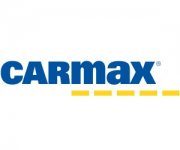 Description: Position Description There are countless reasons why you should join CarMax! Here are the top 5 reasons why you should join our team: 1. Work for a winner! For several years in a row, CarMax has been named one of FORTUNE’S “100 Best Companies to Work For.” 2. We’re different! We merged the best practices of big box retail with the automobile industry building a solid platform that is fair and equitable. 3. We’re growing! CarMax currently operates used car superstores in 45+ markets, and we’re opening more all the time! 4. Exceptional Training! Don’t have automotive experience? No problem. We are ranked as one of the best training companies in America! This position includes a 6 – 9 month training program that includes cross training in all of our functional areas! We provide ongoing training and encourage self development. 5. Our customers! At CarMax, our goal is to have all of our customers become raving fans! 95% of our customers would refer us to friends! Use your retail management experience, leadership, and interpersonal skills to inspire exceptional performance. As a member of the store leadership team, CarMax Sales Managers: * Coach: 60 – 70% of a CarMax Sales Manager’s time is spent in coaching and developing our Sales Consultants. * Lead: through developing a commissioned sales team (10+ direct reports, 50+ indirect reports) our Sales Managers lead teams to achieve sales, ensure efficiency and to be successful in our FY focus areas. * Develop: develop skills and product knowledge of Sales Consultants through training, evaluation, and role play; develop talent into Management roles. * Select: attract, hire and on-board world-class Sales Professionals who are well prepared to provide exceptional customer service. * Analyze & Track: sales performance to assigned budget, conversion, compliance, and Sales Consultant staffing/hiring targets. * Problem Solve: our Sales Managers are empowered to resolve issues that may occur during the execution process. They have day-to-day oversight and authority for response to potential customer service concerns. Our Sales Managers ensure our customers receive the best customer experience and seek out opportunities for self development. Position Requirements Position Requirements: The professional we are seeking will have: * 3+ years Supervisory/General Management experience. 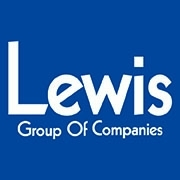 (Retail Supervisory/General Management experience, General Sales Management, Hospitality General Management experience, Banking Management experience preferred) * A proven ability to execute long and short term sales strategies * Experience in establishing action plans to drive performance of sales * Ability to communicate clearly and effectively; expresses opinions and innovative ideas * Ability to empower and challenge team members of all skill levels to reach their full potential * Ability to motivate, inspire and get buy-in from others * Satisfactory completion of MDP is required (applicable to internal CarMax associates only).